QR codes are a type of bar code you can scan with your phone. A unique QR code is generated for every assistant. You can see it by going to "Assistants" in the web client and clicking the icon. You can then print the QR code and tape it to a wall or desk. Your client just has to scan the QR code to see all the step-by-steps, tasks and other data relevant to that location. Go to the webclient, find your account and open 'Assistants'. Click the icon on the assistant you want to print. You can now see the QR code. You can print the page yourself by using ctrl+p or copy and paste it into a word document and then print that. Open the RoutineFactory app on your device. Open the drawer on the left by dragging from left to right or tapping the icon in the upper left corner. Choose "Scan code" and aim your camera at the QR code. 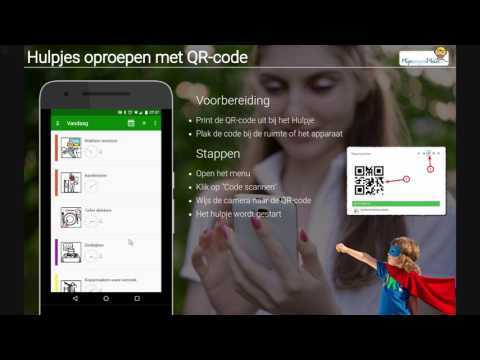 After scanning you will see all the step-by-steps, tasks and other data relevant to that QR code.